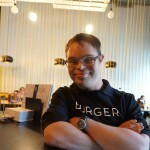 “Alex always has a smile on his face!” says Emily Pederson, a fellow co-worker at Re:Grub. 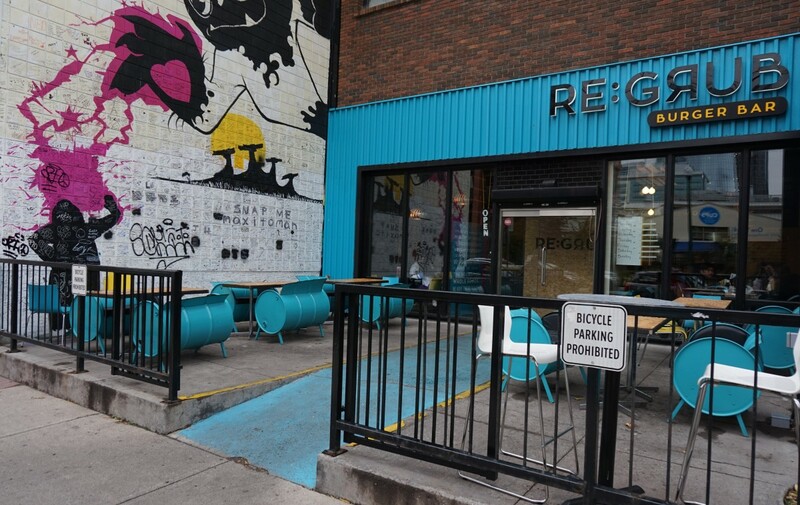 Re:Grub, just soaring past its first year in existence, is a local burger bar that not only pushes the envelope in what their burgers (and now Instagram famous milkshakes) taste and look like, but also with their inclusive hiring practices. Jose Azares, the owner and creator of Re:Grub, encourages all employers to be open minded when hiring individuals. “You have to try to open opportunities for anyone. It’s easier for me because I have a son who was born with Down Syndrome, but you have to be open.” Jose makes sure that Alex, who works part-time at Re:Grub, rotates with the staff who support him so his coworkers are conscious and aware of working with diverse staff. 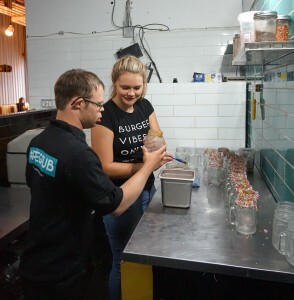 Through Re:Grub Azares created the Made 21 Initiative, which was a hiring initiative for employers to hire adults with Down Syndrome (the 21st chromosome being the chromosome related to Down Syndrome). 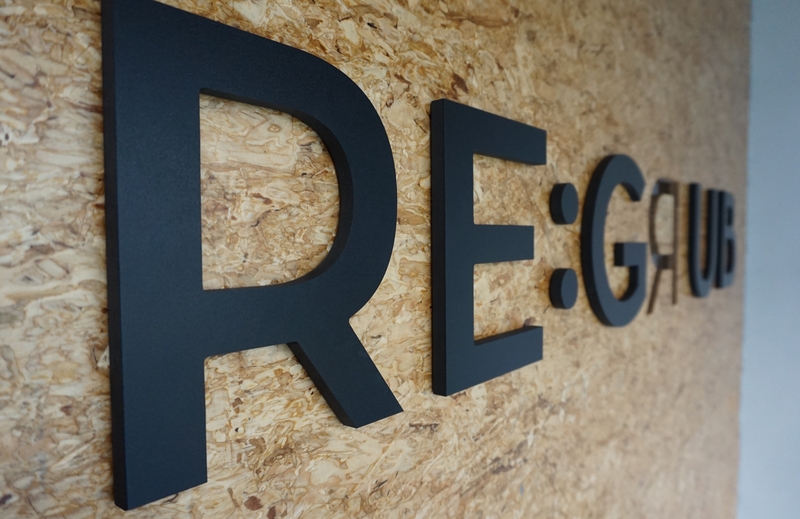 Azares is hoping other local businesses will adopt diverse and inclusive hiring practices after seeing how successful Re:Grub has been with their initiative. “We try to do something different every week. I don’t want him [Alex] to get bored.” says Azares. 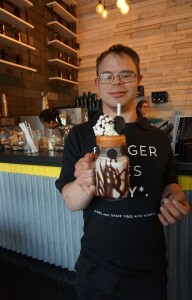 However, anyone who sees Alex in his element at Re:Grub can tell that he is far from boredom, with a big grin on his face whether he is helping prep the milkshakes or helping Jose run errands for the restaurant. We applaud Re:Grub for their continued commitment to workplace inclusion and look forward to watching them thrive in the Calgary community.